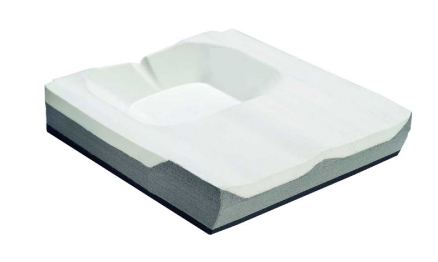 Replacement Multi-Layered, Contoured Foam Base. The Balance features a contoured foam base constructed from closed cell foam. Its femoral transition and rear wall help to prevent fluid migration while gently supporting the trochanters and posterior pelvis. Good replacement base for my cushion . Very pleased.